Mastic asphalt roofing is one of the few construction professions still highly regarded as a ‘craft trade’. Mastic asphalt has stood the test of time with some applications providing effective waterproofing for some 100 years or so, but effective installation is critical to ensure longevity and performance. There are many time-served mastic asphalt roofing applicators working across the country and the Mastic Asphalt Council (MAC) carries out a great deal of work to raise awareness amongst the younger generation about the benefits of learning to apply mastic asphalt and the career opportunities available. The skilled work involves heating the asphalt to the correct temperature and then spreading using traditional techniques to carefully coat a surface. A thermoplastic material that will change shape when heated, mastic asphalt cools to form a hard, durable and waterproof coating. Malcolm Grinstead, Director of MAC said: “Mastic asphalt is a highly-respected product and the continued choice of specifiers for roofing applications but it’s absolutely critical that we build an industry fit for the future with a growing workforce dedicated to quality. This will help to ensure that the next generation of craftspeople can work to the same high standards that have given mastic asphalt the reputation it enjoys today. “By learning to apply mastic asphalt, individuals can gain a much-needed skill, earn a decent wage and have plenty of job opportunities across the UK. Once mastic asphalters have successfully completed an apprenticeship, they are fully competent in the occupation and have fully transferable skills, enabling them to work for a full range of employers, from self-employment, to SME’s and large multi-national companies,” he continued. Traditionally consisting of graded limestone aggregate bound together with bitumen, today’s mastic asphalt systems are now manufactured using advanced polymer modified formulations to ensure all the performance characteristics of traditional asphalt systems, with the added benefits of increased flexibility, enhanced handling and sustainability. The incorporation of modern polymers into mastic asphalt systems has helped lead to its resurgence in the construction industry. New City College Hackney, formerly Hackney Community College, is currently the only further education college in the country to deliver courses in mastic asphalt, and it relies upon support from MAC and its members. The mastic asphalt craft is taught by professional tutors and the traditional time-served apprenticeship is now incorporated into national vocational qualifications, leading to a Level 2 or Level 3 NVQ qualification. MAC aims to protect the future of the industry by supporting apprentices through an intensive two or three year training programme that will ensure they can install mastic asphalt to the highest standards. The craft training programme is said to be one of the most demanding in the construction industry, and includes practical and theoretical training to use mastic asphalt on a wide range of applications involving roofing, flooring, paving and tanking. Students can utilise state-of-the-art facilities at New City College Hackney which include a workshop replicating a real work site and a one-tonne asphalt mixer. 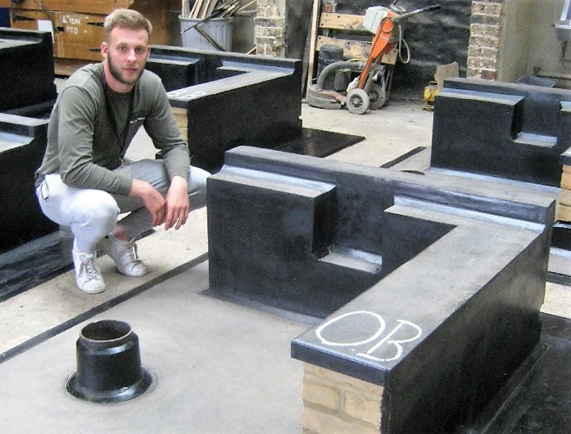 Roofing and waterproofing specialist IKO has previously donated 10 tonnes of roofing grade mastic asphalt to the college to give apprentices raw materials with which they can learn the practical elements of this age-old trade. Malcolm Grinstead continued: “An apprenticeship combines learning at college with on-site experience to give apprentices the right mix of technical and practical skills. There has never been a better time to offer apprenticeships, with one in five employers hiring more apprentices to help them through the current economic climate. 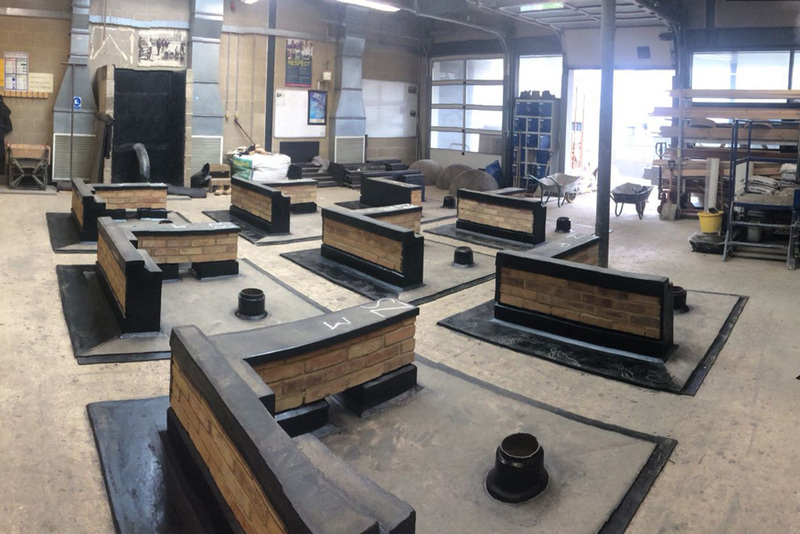 “Several MAC members have apprentices on the mastic asphalt course at New City College Hackney and we receive some great feedback about how keen and motivated the apprentices are. For those who have to lodge away from home to attend the apprenticeship training programme at Hackney, CITB pays for lodgings, as well as college tuition fees, examination fees and travel costs. Firms can also apply for grants for training if they are registered with the CITB. The aim of the CITB grants scheme is to maintain and improve the quantity and quality of training and development within the construction industry,” he continued. Apprentices from MAC member companies Bell Asphalt, Brindley Asphalt, Guaranteed Asphalt, JPR Roofing & Flooring, Mac Morgan Asphalte, Malden Asphalt, Nottingham Rock Asphalte Roofing & Flooring, Rio Asphalt and Sussex Asphalte currently have apprentices enrolled on the mastic asphalt course at New City College Hackney. Over recent months, MAC and its members have carried out work to develop a new apprenticeship standard for mastic asphalting, as part of the Government’s initiative to replace all current Apprenticeship Frameworks with new apprenticeships known as Trailblazer Standards by the end of 2020. An employer-led Trailblazer Group has developed a new apprenticeship standard and this is currently under approval by the Institute of Apprenticeships. Participants who have helped develop this standard have included representatives from MAC, CITB, National Federation of Roofing Contractors (NFRC) and MAC members including Briggs Amasco, Premier Mastic Asphalt, Rio Asphalt and Sussex Asphalt.